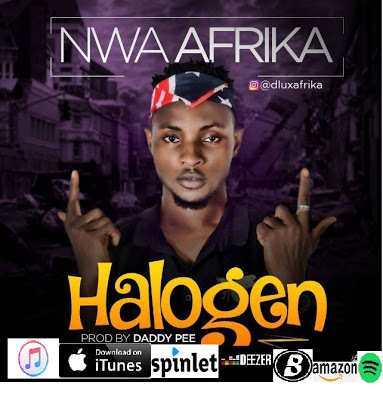 HERE COMES THE LONG AWAITED SINGLE BY NWA AFRIKA, "HALOGEN"(prod. by daddypee). 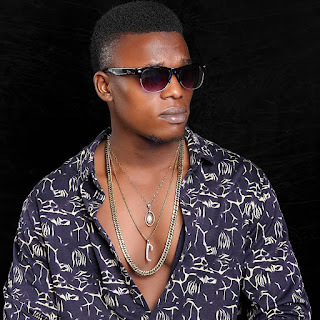 Chima cosmos aka NWA AFRIKA, a male indigen of abia state, who grew up in port harcourt but currently in lagos as a full time entertainer and a blogger is out with a pure hip-hop trap single. NWA AFRIKA is a popular name in the streets of lagos because of his stage to stage performance on different rap battle shows, and his popular saying "WE DE PRESS FOR NIGHT"